When choosing a sight for a rifle, you have to choose which type of optical is going to be best for you. This is going to vary depending on whether you are doing long range hunting shots or tactical shooting. Optical variations in your scope should be carefully considered before you purchase a scope. Two of the current options in opticals are First Focal Plane (FFP) and Second Focal Plane (SFP). If you are new to hunting and tactical shooting opticals you may be confused by what the difference between these two opticals is. Here is a basic break down of the differences in the FFP and SFO optics. Being the newer scopes on the market, the first focal plane lenses have a reticle option for scoped rifles that offers shooters the ability to fire accurately when the distance of the target is unknown. As is often the case when in a tactical or hunting situation, distances change quickly. First Focal plane scopes have a Mil scale that is the same at a magnification of 2x and at a magnification of 10x. What Does The Mil Scale Mean for FFP Scopes? The Mil Scale available for view in the FFP scopes allows for quick and easy adjustments of the shot without doing a lot of math. Because the scale doesn’t change as you zoom. If you need to adjust the shot, you can use the Mil scale on the FFP. There is no need to calculate how it will be off or change the impact point. This is great for speed shooters like tactical shooters. What Are the Drawbacks of First Focal Plane Scopes? When using a first focal plane scope, you may notice that the higher magnification ranges have less clarity than their competition. This may be because of the Mil scale and lack of adjustment needed. Also, they cannot be magnified as high as a second focal plane scope. For many people, this is not a huge issue. If you are a long, technical shooter, you may find that the lack of additional amplification and magnification is disappointing. Finally, First Focal Plane scopes are more expensive than second focal plane scopes: this may be because the technology is newer. You may also be paying for the privilege of not having to do any calculations in your head before you take your shot. You can rely on the Mil scale in the FFP scope to get you on target. Chances are you are already familiar with the second focal plane scopes and their sighting systems. On a second focal plane scope, the reticle does not change size when the magnification changes. This makes is very difficult to use Mil or MOA scales because they are usually only accurate at one power. Those who use Mil or MOA reticles will not like the second focal plane scopes. The accuracy of the scale on a second focal plane scope is typically found on the highest magnification setting. There are some rare scopes that have the true reticle size at a different magnification so you will need to read your manufacturers guide. Second focal plane scopes are primarily designed for long ranged shooters because of where the accuracy of the scale is set. Also, since an SFP scope can have a magnification of up to 50x it is ideal for those long range tactical shooters. The second Focal plane can offer a thinner reticle view at the higher magnifications which can also help when zeroing in on a target. Which Type Of Scope Is Best For Me? When deciding whether you want an FFP or SFP scope you need to answer a few questions about your shooting style. Do you need high levels of magnification? If you need magnifications of over 10x, then you are not going to be satisfied with a first focal plane scope. First focal plane scopes typically only go up to 10x while second focal plane scopes can have magnifications of up to 50x. Do you prefer not adjusting Mil calculations? To use Mil dot reticles and not adjust your calculations then you are going to want to choose a first focal plane scope. The reticle does not change, even as you change magnifications. When using a second focal plane scope, you will need to adjust your Mil down as your magnification goes up. Do you want your sight to change as you adjust magnification? 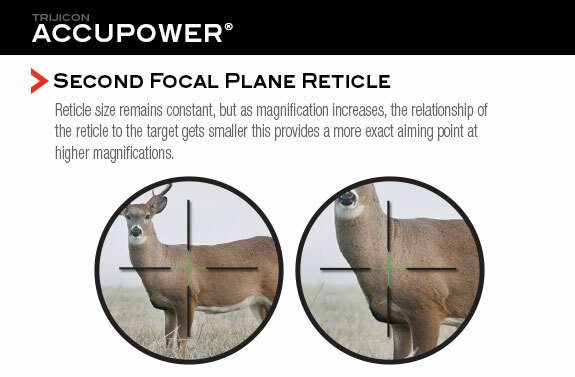 If you prefer your reticle stay the same size even as you scroll through different magnifications, then you need to purchase a second focal plane scope. First focal plane sights will have the reticle change as you change magnifications. Do you want your highest magnification to be the clearest? When you require the clearest sight on your highest magnification, then you will want to choose a second focal plane sight. 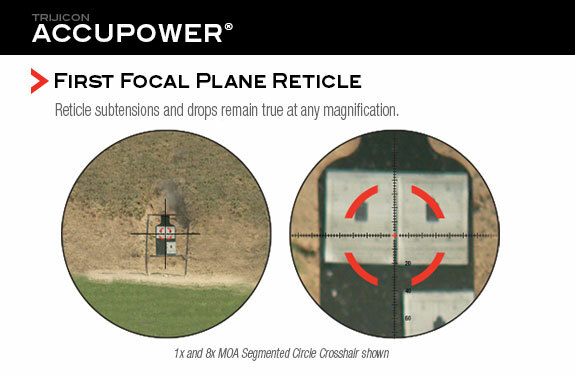 First focal plane sights will have a slight blur on their highest magnification. Do you need to make long tactical shots? When the majority of your shooting is made from long distances that require high magnifications, then you will get more use from a second focal plane scope.